Greg Girard, Club USA, Kabuki-cho, Tokyo, 1976. Archival pigment print, 24 x 36". Greg Girard, Club Apollo, Yokosuka, 1976. Archival pigment print, 24 x 36". Greg Girard’s photographs from Tokyo – Yokosuka 1976 – 1983 are artifacts of a pre-bubble Tokyo, before it acquired imaginative shape as the late 20th century’s default for a 21st-century city. 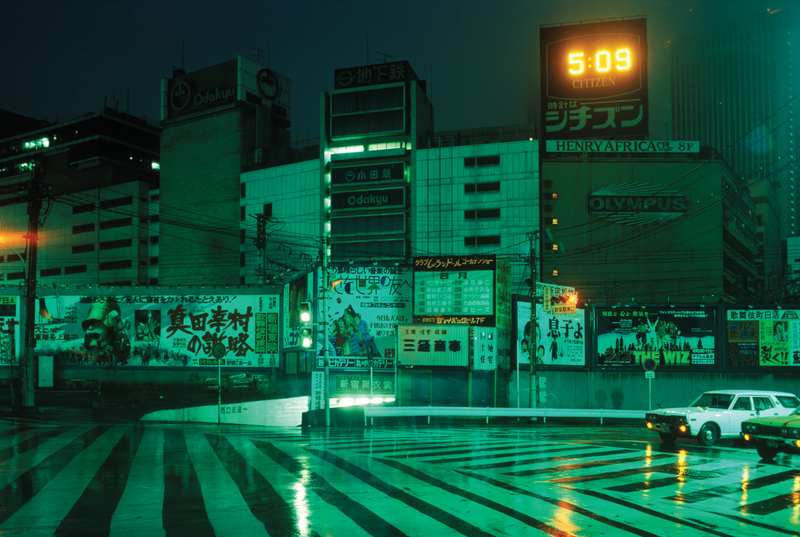 Mixing postwar scruffiness with a transitional modernity, Girard captures moments before the city (and Japan) exploded slow-motion into our late 20th-century consciousness. 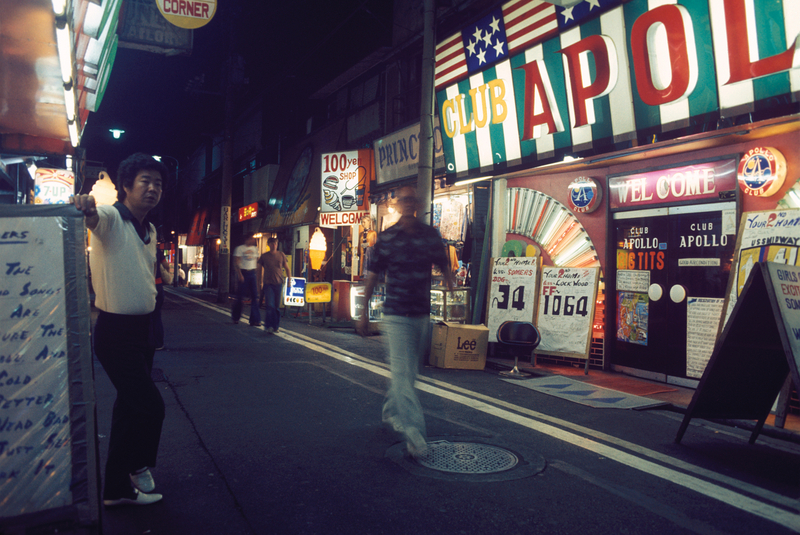 While living in Tokyo, Girard also started photographing in Yokosuka, just southwest of Tokyo, home to a sprawling US Navy base, and the many bars and clubs clustered nearby. As Japan, and Tokyo in particular, was about to launch itself into Tomorrowland, the base and its host community (and others like it in the region), a vestige of Japan’s defeat in WWII, were about to tip into Yesterday. This body of work provides a glimpse of the moment when two historical streams passed each other headed in opposite directions: one, the decline of US pre-eminence in the postwar world, particularly in Asia; the other, the emergence of an Asian city, the non-West, as the default for what the future might look like.